GoDaddy is one of the most popular web hosting companies who offer different services like domain name registration, web hosting, website builder, email server etc. This tutorial explains how to set a third party electronic mail server with a domain name registered via GoDaddy. We may choose third-party services due to various reasons like cost difference, privacy, better service etc. Today I have configured Hushmail Business Email for one of my friends where his domain name is registered through GoDaddy. Though this tutorial is about configuring Hushmail, you can use the same procedure for other email service providers like ProtonMail, Google APP for business, ShazzleMail etc with GoDaddy domain. 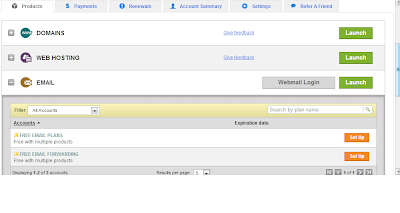 Now let us check how to configure third-party email services with Godaddy web hosting. Sign in to GoDaddy account using username and password. You can also use customer id instead of username. Click on the domain name for which you want to set up third-party service. Let us check how to create a new MX record if there is nothing configured already. You may click delete button near the MX record to remove all current values set. Now to create a new set of values, follow the procedure below. 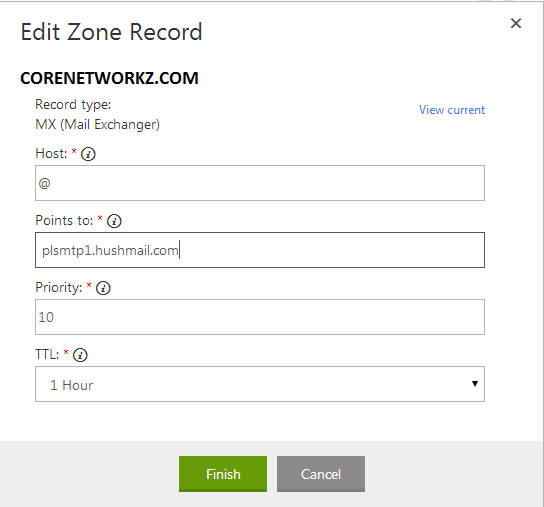 Now on Add Zone Record window enter the following details. We need to create one more record (total 2)and click Add one more and enter the second name server details. It may take time to set the new MX record. You can use the edit button and change the current MX record instead of deleting them. To setup email service from other companies, you have to edit the current MX (Mail Exchanger) settings. We can add two values here. Delete the current values and enter the MX records send from your email provider. If you have any doubts regarding this step, I recommend you to carefully look at the pictures shown below. Keep @ at the host and enter the name of the mail server under 'Points to'. Enter the same priority provided by the service provider. It is important to note that the name server with the lowest number as priority will be tried first. Look at the image below to get more information regarding it. Hushmail offers private mail service who doesn't respond to foreign agencies request to transfer mail data. However, if the legal agencies from British Columbia, Canada ask for the details, they provide the necessary information. In addition to this protection, they offer HTTPS for emails send from the user until the message is in their network. Their encrypted connection prevents government and other agencies from sneak into your personal matters. Right now, almost every Internet users know the potential dangers of intrusion to our private messages by law and order or secret service agencies. We can protect our personal messages from the eagle eyes of third party agencies by hosting our online services by companies who really protect the rights of their users. So if you doubt someone sneaks into your personal messages, it is very important to use any email service providers who are strongly protecting their user's rights. This tutorial explains how to configure their MX (Mail Exchanger) records with GoDaddy in simplest words.